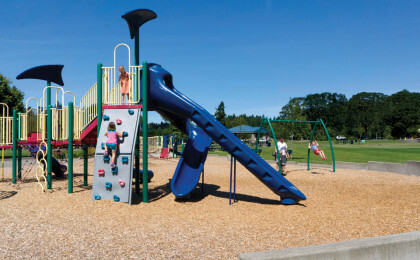 This new park in Northeast Redmond is on a wooded, five-acre site containing a stream, pond, and wetlands with rich bird and animal habitat. 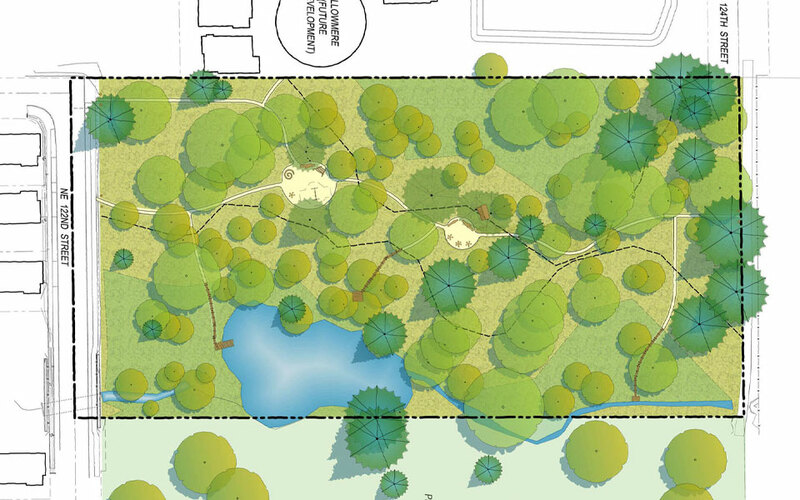 Nakano Associates prepared a master plan that features these natural resources by providing nature play opportunities and walking trails for bird-watching. 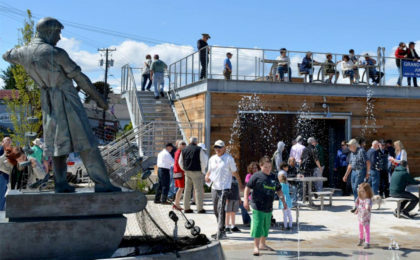 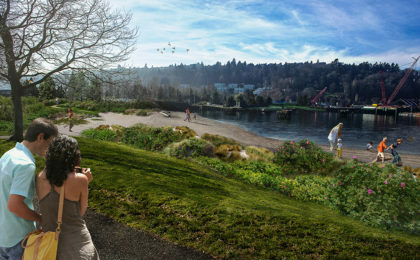 Since funding for construction of the park was not in place and the community was anxious to use the park, Nakano Associates project manager, Ida Ottesen, worked with representatives from Redmond Parks and Recreation Department, the project artist, and about 50 community members, to create an interim park. 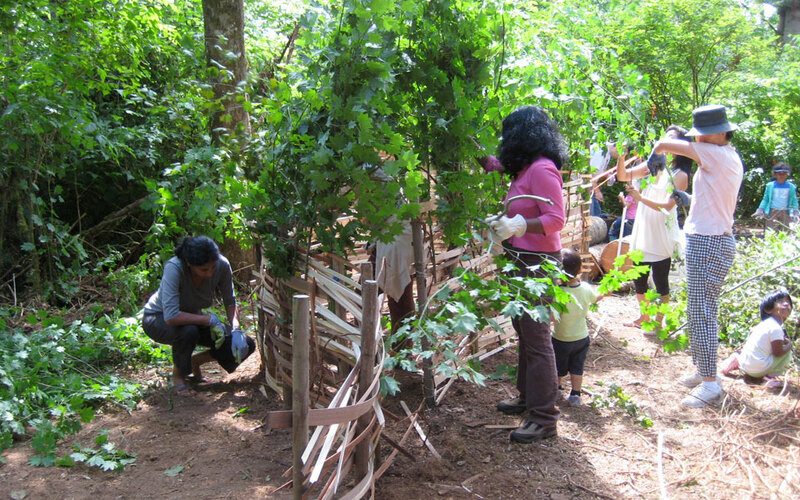 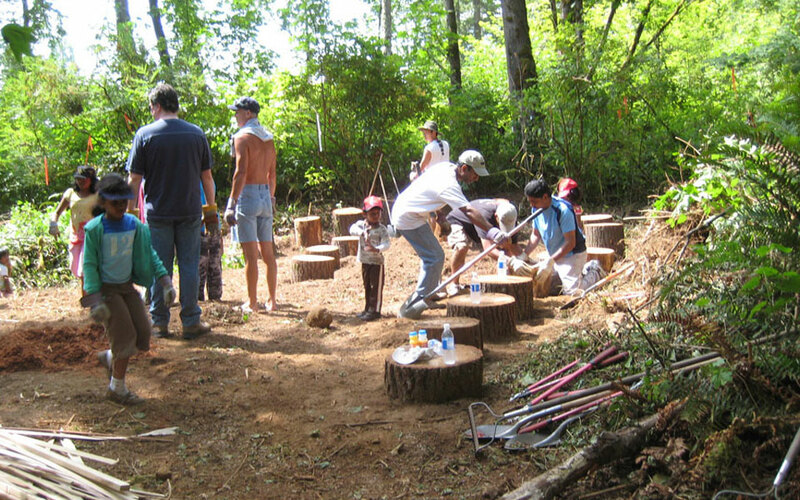 The resulting lively Saturday work party successfully produced creative and low-budget play areas and trails. 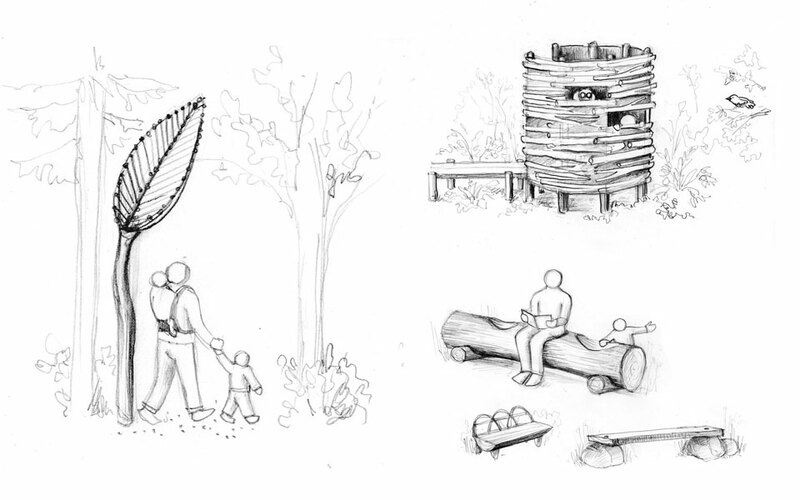 This park provides a place for kids to play in a natural setting. 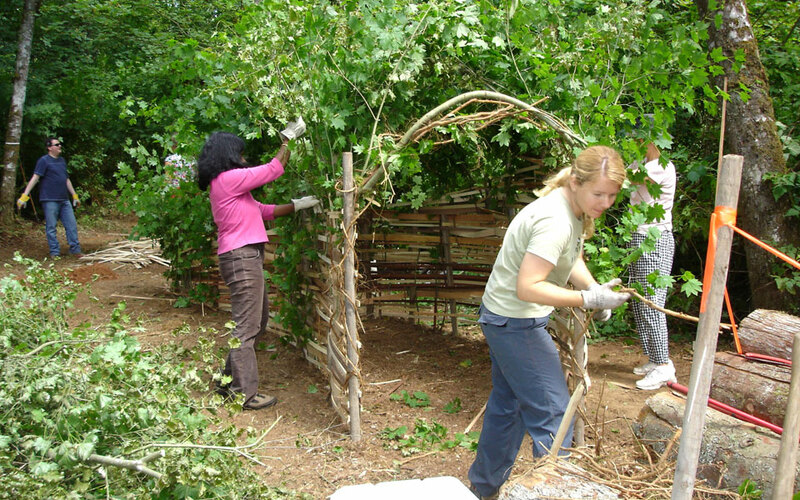 Project team artist Kristen Tollefeson wrote a guest post on our website about the benefits of nature play available here.